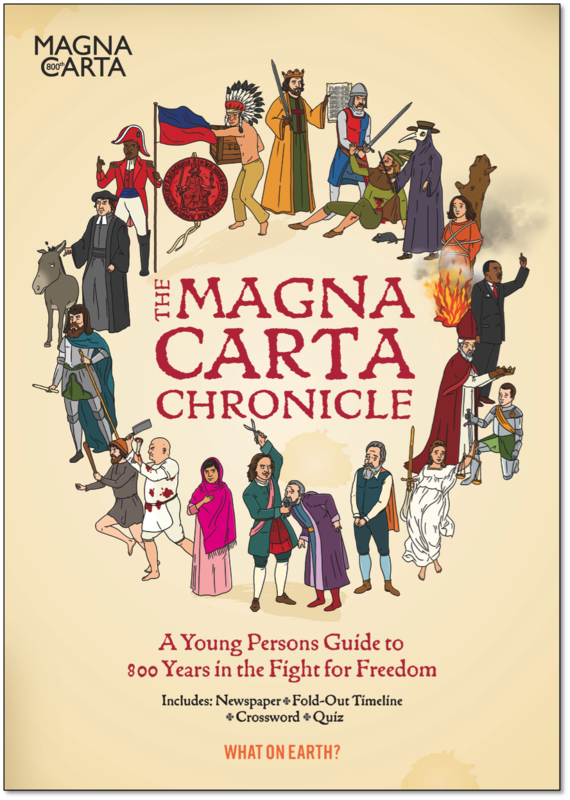 We have 5000 copies of our amazing Magna Carta Chronicles which we are giving away FREE!! In the hope of keeping the fight alive we are giving away this comprehensive book which illustrates 800 years of key moments. It includes a 2m-long fold-out timeline, more than 40 articles written in a newspaper format, a crossword, a 50 question multiple-choice quiz and a souvenir copy and guide to the Magna Carta itself! This offer is available to Mainland UK addresses only. This is offer cannot be combined with any other offer. Only one copy of the Magna Carta Chronicle is available per order. This offer is available while stocks last, or 30th June 2018 – whichever comes first. Postage & Packaging is charged at our standard rate of £4.95. Orders ship within 10 working days. WANT TO READ MORE? Click here for this months blog.